Smart living homes are evolving to include high-end electronic dog doors that your pet would love. The advancement of technology has brought us a number of benefits. From accessing any type of information on the internet to experiencing a more comfortable lifestyle, technology gave us an abundance of opportunities. 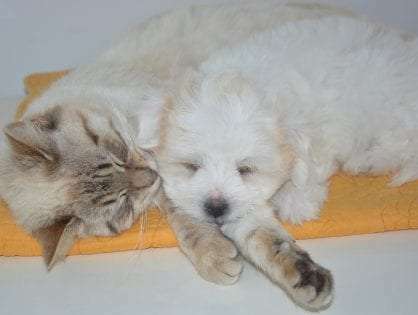 Life has become more convenient and more enjoyable, not just for us, but for our pet friends as well. More and more households each day integrate smart technologies into every corner of their home. These smart technologies extend to include electronic dog doors that can open a new world of freedom for our furry friends. For a secure access in and out of the house, dog-owners will agree that electronic pet doors are the best product on the market. Are you interested in buying one for your four-legged friend? Here’s everything you should know. Electronic, Magnetic, RFID, or Microchip Dog Doors? Although similar, these types of doors have their differences. Electronic doors read the collar key on your dog’s collar. When they sense the collar key, they unlock and open for your doggy. There is a wide range of collar keys that can trigger an electronic pet door to open, such as magnetic, infra-red, and RFID chips. Magnetic doors respond to the magnet in your pet’s collar key. There are types that don’t require battery power and run off multi-magnets. Others require a 9-volt battery for operation. Magnetic doors are usually the most cost-effective, although they are not considered raccoon proof. The infra-red dog door is activated by a special infra-red transmitter worn by your pet. The collar key signals the door to open for your pet and only your pet. You won’t have to worry about unwanted animals using your pet’s doorway. RFID chips are a new type of technology. They use a radio frequency identification key that senses the presence of RFID-embedded devices within a particular electromagnetic field. The microchip dog doors are triggered by an implanted chip inside your pet’s body. They are a great choice if you have a pet that just won’t keep a collar on. With these doors, you don’t have to worry about the collar being lost as the ID chip is embedded under your dog’s skin. 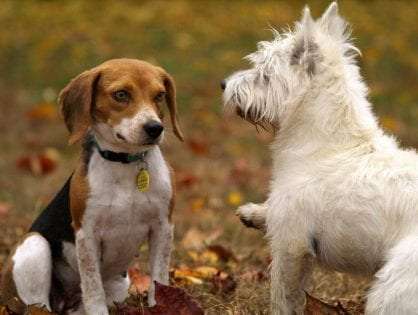 What are the Benefits of Electronic Dog Doors? This door is an ideal choice for any pet owner who’s tired of the back-and-forth routine of letting his pet in and out of the house. 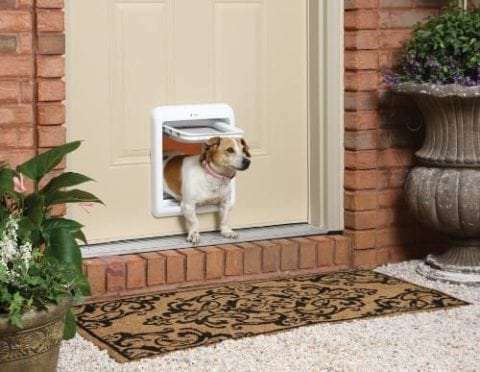 If you have a fenced-in backyard and wish to sleep a few hours more on Sunday mornings, then this electronic pet door is the ideal pick. Instead of getting up to let your dog our, your dog can freely move from the indoors to the outdoors on its own. If you’re away for the entire day and wish to ensure your pet is safe, you can simply lock the door to prevent your dog from going outside. What’s more, you can still install an automatic dog door even if you live in a rental. These type of tech doors can be temporarily installed and quickly removed. Whether you’re an owner of a small-sized doggy or a large one, there are electronic doors for different dog breeds. By installing a pet flap, your canine friend will have the freedom to engage in species-specific behaviors anytime it pleases. Your dog will have the independence to go to the “bathroom” when it likes, play when it’s in the mood, and run freely when it wishes. Now your companion will have a constant challenge and stimulation in order to maintain a good mental fitness. The best perk of the automatic dog door is that you can say “bye-bye” to destructive behavior like excessive barking or scratching the furniture. Your doggy will receive the proper mental stimulation it requires and will leave your furniture alone. What are Some of the Most Notable Features of Electronic Dog Doors? Automatic lock/unlock. These doors lock and unlock automatically. This can lead to an enhanced security, reducing the chance of unwanted guests coming in. Controlling access. You can program these modern pet doors to let your dog out at certain times of the day and block their exit at other times. You can set the door to not let your dog inside when it’s outside and vice versa. Sensor tags. The microchip doggie doors allow dogs who wear sensor tags to enter or exit through the door. This prevents uninvited guests coming to your home, including raccoons or neighborhood cats. Sensing system. These automatic dog doors come with a directional sensing system that opens only when your pet walks to the door. Pet memory. The doors can hold multiple pet identities in memory. They remember all registered dogs and cats and don’t open for stray pets. Insulation. Most automatic doors have insulated flaps. They prevent air from passing through the opening, making your home more energy-efficient. Apps. You can operate some doors using an app on your phone. With an app, you can also monitor how many times your pet goes out in a day. Different construction materials. You can choose between different materials for your door, including stainless steel and plastic. If you live in an area that gets bad weather, a stainless steel dog door is a better option. Multiple pets. There are models that allow multiple pets to use the door. This is a great option for owners of more than one pet. What are the Best Automatic Dog Doors on the Market? The SureFlap Microchip Dog Door works with a microchip reader that is located on the outside of the dog door. It also works with all common identification microchips and SureFlap RFID collar tags, which can be purchased separately. 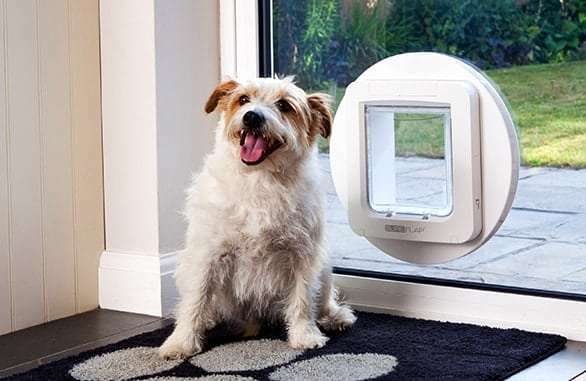 This super-tech doggy flap can store up to 32 pet identities in memory and can remember all registered dogs and cats. You can manually lock it to stop your pet from leaving or entering the house. If you like, you can set it to in-only mode to enable your pet to come indoors without being able to get back out. When the batteries start to run low, the door will indicate with a red flashing light. The PetSafe Electronic SmartDoor means convenience for you and your dog. It acts as a key for your dog to use, to come and go as it pleases. The doggy flap uses radio-frequency technology to read the signal of the key worn on your pet’s collar. The Smart Key on your dog’s collar triggers the battery-driven flap to unlock, allowing freedom of movement. When the door no longer senses your pet’s Smart Key, the flap automatically locks back into place. It comes with 3 different modes: locked, unlocked, and automatic. The automatic mode offers access only to pets wearing a Smart Key. The High Tech Pet Power Electronic Pet Door is designed for great performance, value, and extreme reliability. The door is motor-driven and activated by an ultrasonic collar that your pet wears. The door panel is made from high-quality, bulletproof resin that ensures years of use. When your dog comes near the door wearing the ultrasonic collar, the airtight panel quietly powers upward. This feature is unique, as other dog doors simply unlock a hinged panel, allowing the pet to push through a flap. The panel remains open until the pet collar signal is gone, indicating that your pet is clear of the opening. The downward speed of the panel slows down with the help of an electronic brake. For an added safety, the door automatically raises the panel if it encounters an obstruction on the way down. The Solo Automatic Electronic Dog Door, apart from being made in the USA, is also made from strong materials ensuring a life-long use. It comes with a high-end security feature that includes a slow gravity mechanism upon closing. What’s more, the sensor tag is waterproof, meaning you don’t have to worry about your dog getting wet at the playground. You even get to save money on batteries as the Solo Automatic door is triggered by a magnet. There are no batteries or circuitry in the tag that your pet wears. To make things even better, this electronic dog door comes with ten sizes to choose from. The Endura Double Flap Wall Mount Pet Door is an award-winning pet door and one of the most energy-efficient wall-mounted doors on the market. It’s highly wind-resistant construction and aluminum framing makes it an ideal option for areas that get extreme weather conditions. You would love to have it in your home as it also comes with a clip lock that enables you to close the pet flap when not in use. Apart from a stylish design and eco-friendliness, you will also get great insulation that will prevent cold or hot air coming in or out. Those who opt for this type of electronic dog door can choose between a single flap, small double flap, or a sizeable dual flap option. the product comes at a higher price and it’s favored by high-budget buyers. Like with any other tech product, electronic dog doors aren’t perfect and there’s always the risk of a faulty system. They can become jammed up, or simply stop working and you will have to get them repaired. There’s the risk of your pet breaking the collar attachment. Your dog might lose the collar attachment while he’s outdoors and this may prevent him to come back inside. If you don’t check the system daily, you might face a number of issues. You need to change the batteries regularly. If you have an electronic dog door that uses radio frequency signals, keep appliances and other electronic devices several feet away from the door. This is vital if you wish to prevent interference that can impede the functionality of the doggy flap. 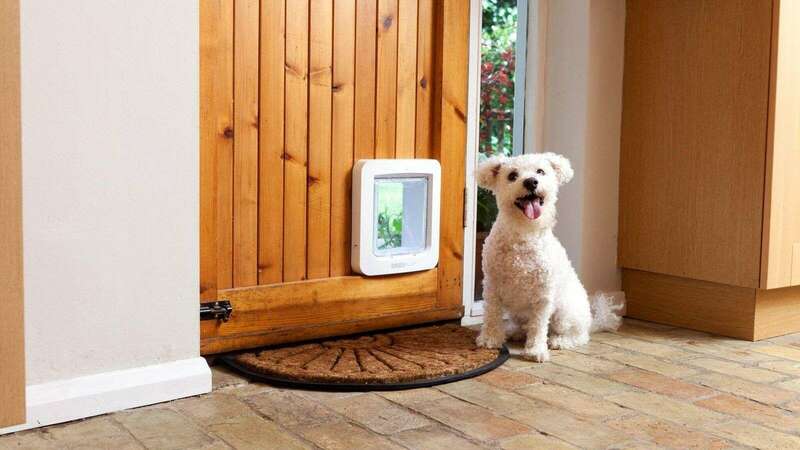 Did any of the above-mentioned electronic dog doors catch your eye? Are you ready to give your smart living home a boost and surprise your best friend with a high-end pet flap? Tell us in the comments below, we would love to hear your thoughts.